Custom Bundle for Tawnta E.
Custom Task Card Bundle for Rebecca N.
Custom Bundle for Nicole M.
This custom bundle includes the 14 products listed above at a 20% discount. 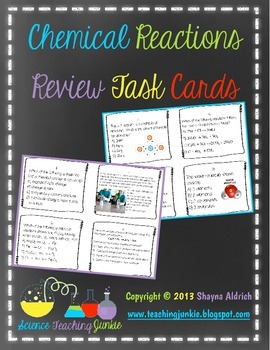 Use these 16 task cards to help your students review chemical reactions. 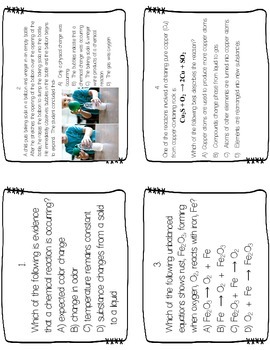 This PDF includes 16 task cards over chemical reactions. 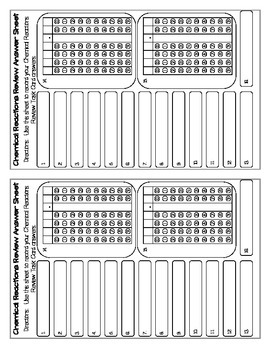 Student answer sheets and teacher answer key are provided. Ideas on ways to use them in the science classroom are also included. Buy the Bundle and Save! 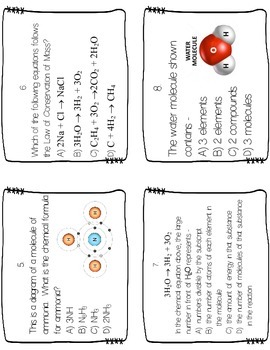 A Whole Watt-a Task Cards includes this set along with 13 others. Buy the Bundle and receive all future task card set additions, revisions and updates at no additional cost to you!